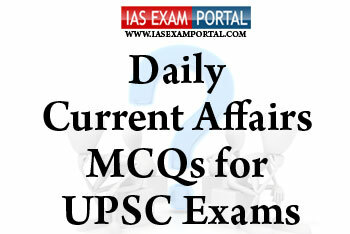 Current Affairs MCQ for UPSC Exams - 30 JANUARY 2019 | IAS EXAM PORTAL - India's Largest Community for UPSC Exam Aspirants. Q1. The 3rd Stock Taking Conference on Tiger Conservation was inaugurated in New Delhi. Which of the following statements with respect to tiger population in India are true? Q2. Which of the following countries of South America shares boundary with Venezuela ? Q4. Which of the following statements regarding global economic prospects analysed by various global institutions are true ? 3) While the IMF has said that the ongoing trade war between the US and China is hurting global growth. Besides China's economy grew at its slowest place since 1990 in the last quarter of 2018. Q5. India has improved its ranking on a global corruption index in 2018 by three points and moved to 78th position with a score of 41. The index is released by which of the following global institutions ?